Hoffman Louver plate kit includes 3-Inch long louver with 3-Inch x 3.5-Inch cutout. This kit helps to provide ventilation in enclosures with excessive internal heat or excessive moisture. 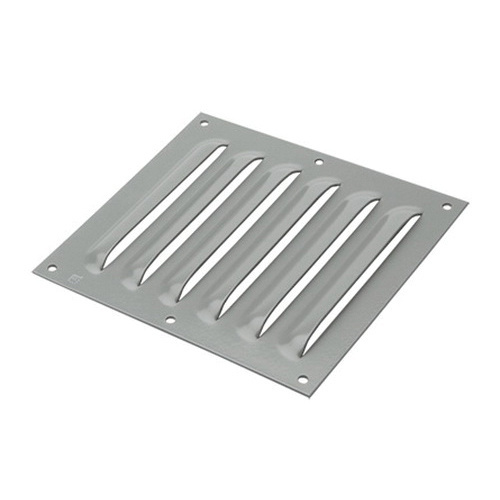 The louver plate in ANSI 61 gray color, features 14-gauge steel construction. The polyester powder-coated finish offers effective corrosion resistance. Louver plate kit is RoHS compliant.